Driving out of Damansara Uptown can be hell, especially after 6pm. 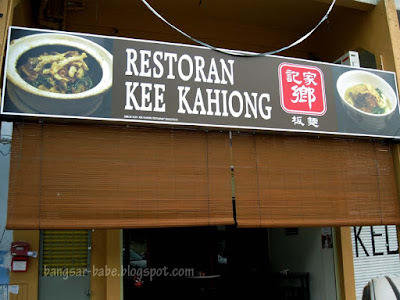 Sometimes, I get stuck at the same spot for 15-20 minutes — which made me notice this place called Restoran Kee Kahiong. Curious, I told myself I’d pay this place a visit soon, but ‘soon’ turned out to be two months later. I reckon their specialty is the claypot Loh Shi Fun and Pan Mee, judging from the signboard and laminated pictures on the wall. Shum ordered the loh shi fun, and I tried their Lor Pan Mee. The waiter at that time seemed hesitant to serve us. He merely plonked the menu on the table, and we had to wave a few times to order. Note that at that time, we were the only customers in the shop. 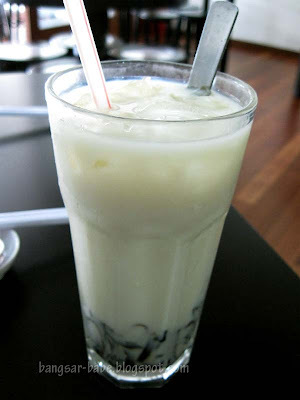 The Soya Bean Cincau was diluted, and there was very little grass jelly at the bottom. For RM2.80 per glass, the price was steep, and it didn’t even taste that great. 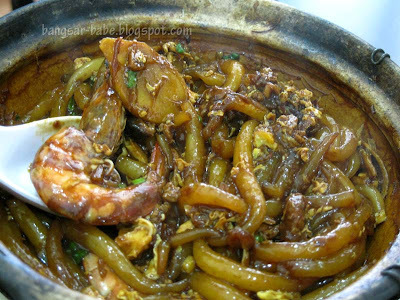 My lor pan mee (RM5.80) was very average. 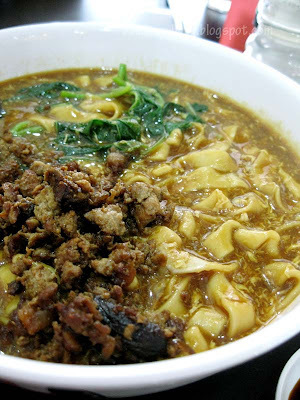 It didn’t have any wow factor — the lor pan mee from the nearby hawker stall tasted better. I added plenty of sambal chili, chili padi & black vinegar to make it more edible. 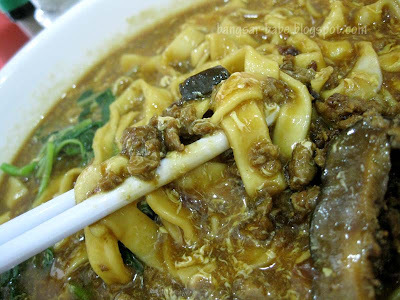 Shum’s loh shi fun (RM8) was a disaster, the poor girl was so disappointed with it. It tasted as though it was cooked with ONLY soy sauce and dark sauce. The prawns were miserable, and not that fresh-tasting. The ample amount of chili padi and sambal did little to mask the awfulness of the dish. Lunch was dreadful, and the ice cold service made everything worst. 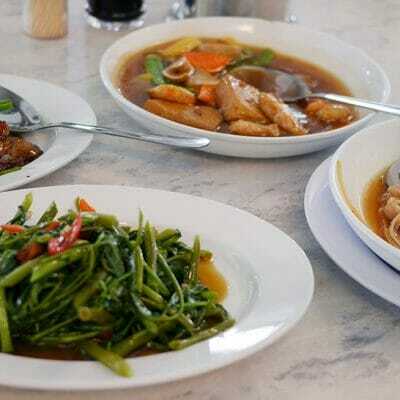 The food was not that cheap for such standard and taste. Well, at least I can say, “been there, tried that”. 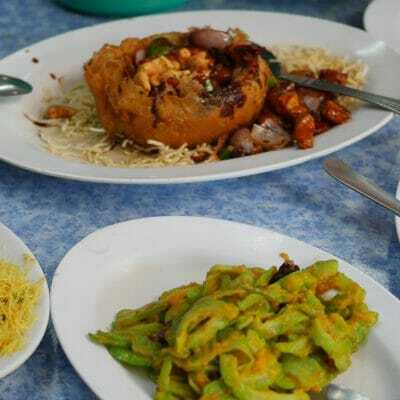 Verdict: Unless you want to eat in a seemingly decent environment, you’re better off eating at the hawker shops nearby. From the name alone, I would've dove straight for it! Really too bad!! Still need to meet up with Shum… must make sure we pick somewhere nice to make up for her sad meal! Wah! poor thing… a string of bad encounters recently. 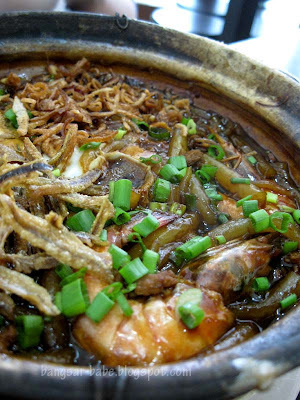 I think you should try Face-to-Face instead when you are looking for Pan Mee in Uptown. Though I would only recommend the first item in their menu (others are not that great, need not bother), its definitely worth a try. Its located at the row of shops behind Public Bank. 550ml – LOL. Yes…we must do lunch! Tarts and Pies – Exactly…thanks by the way! 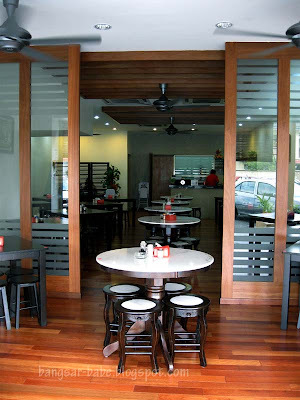 SimpleGirl – I wouldn't patronise such restaurants…waste money only!